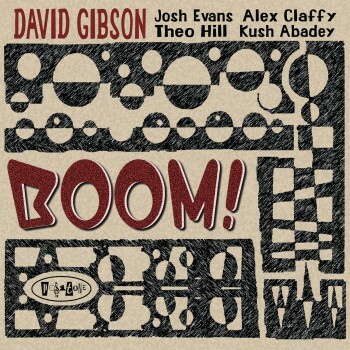 “Boom!” goes the dynamite, as trombonist David Gibson explodes strongly back onto the scene with a quintet date featuring trumpeter Josh Evans, pianist Theo Hill, bassist Alex Claffy and drummer Kush Abadey. While the session swings straight ahead, Gibson’s new music is also elegantly lyrical and brilliantly evocative of a more modern jazz sensibility. With an amazing combination of talents, some brilliant performances, and an evocative program of music, including several amazing new original compositions, Gibson’s latest record “Boom!” is sure to bring bright moments to jazz fans everywhere.